The Alice Sweater is sure to become a staple in your wardrobe for seasons to come. This lightweight hoodie has the most beautiful detailing throughout. 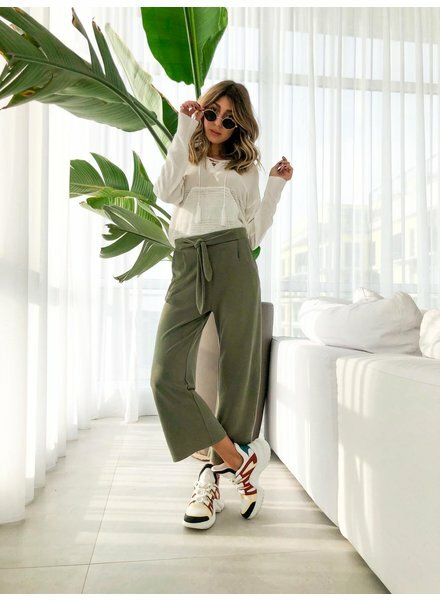 Perfect for those spring days these pants are effortless, easy and oh so comfy. A lightweight loose crop pant with a tie waist.